Apple has recommended that iTunes users "wait to upgrade Windows until after the next release of iTunes". According to Apple, this will be in the "next few weeks". The company's stance might not be surprising, but it's not that iTunes just won't work. 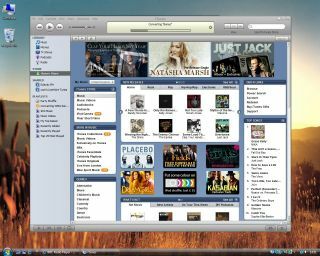 Indeed, Apple admits on its website that iTunes 7.0.2 "may work with Windows Vista on many typical PCs". However, there are some issues with iTunes 7.0.2 and Vista, which we've listed below. The page goes on to give advice to users upgrading their Windows installation to Vista. Apple has also released an interim patch, the iTunes Repair Tool for Vista, to aid the process of upgrading.